I do not have a clear pattern when it comes to what I call my writing days. I wake up early sometimes before six in the morning, I make coffee, I sit and I write. Coffee has slowly become a habit; I drink tea but sometimes my writing demands coffee. I am trying to practice meditation in the mornings and night; something my sister says works wonders for her. I have tried it a couple of times but not in the past few years, I find that I love silence but it seems quieting myself to listen within is a bit tricky. 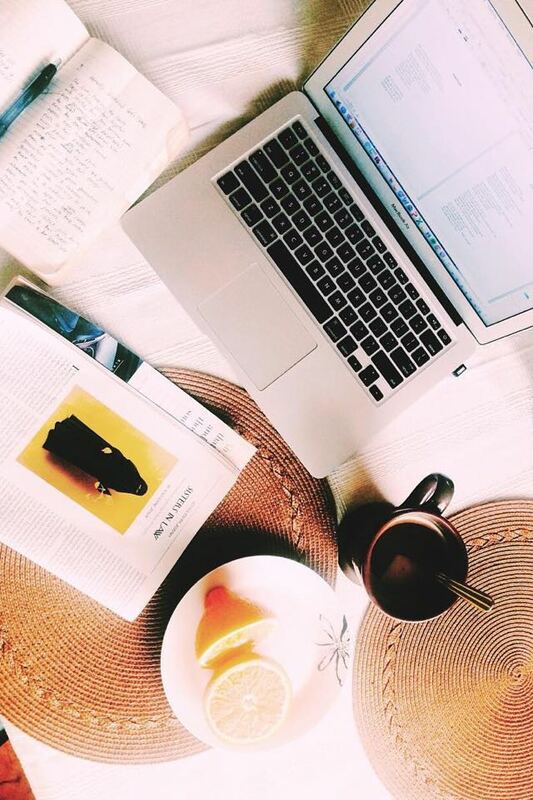 While writing my book, I used to sit for hours just refilling my coffee and trying to make sense of the pages I had to write, rewrite and sometimes remove. I enjoy sitting in silence, absolute silence. There is a dining table close to the window that makes daylight look beautiful, the sun sneaking in and being able to gaze at the blue sky makes it worthwhile. I get my subscription to the New Yorker every Thursday and on those days, I quietly read through stories and poems while listening to music. Sometimes I play Joshua Radin, Dido and Sza on repeat when I write or music in that genre; a bit soft, a bit playful. Sometimes I play Nina Simone, Sade, Otis Redding and Sam Cooke. Sometimes I play Fela, Osadebe, Adekunle Gold and Brymo. I have different playlists; some Jazz, some old school Nigerian music and some adult contemporary. I tend to love music when I write poems and I prefer not listening to music when I write fiction or essays. I absolutely enjoy silence and solitude. I stay far away from my phone. My writing desk inside my bedroom is filled with pens, writing journals and books. I have over five active journals which means I write in them for different occasions and ideas. I am almost always with a book and journal when I am away from home. I have books against my walls and Post-its surround my room. A habit that works, I keep my most important dates in my calendar that syncs with my computer but sticking reminders around my house helps too. It helped when I was preparing to publish my book. I looked up from my writing desk in my room and the sticker stared back at me, reminding me what needed to be done. I keep a journal and a pen close to my bed, sometimes I stay late into the night and words come to me. Poetry has to deal with raw emotions, and the human emotions that most times cannot be contained in prose has to become a poem, or a prose poem. It can be a quick feeling and that feeling has to be written and then expanded even more, sometimes into fiction or an essay. I take breaks when I write; sometimes I go outside, sit and read from a book I am currently reading or I check my favorite websites for international news. Usually I read other books or articles that help me think and reflect. I re-read bookmarked pages of Hafiz, Maya Angelou and Sonia Sanchez. I am editing a story this week and I have a deadline, I have been working on it, carrying it with me wherever I go. I will sit all night today and probably welcome Saturday while quietly editing my current writing. Fiction is tricky but poetry still slips into it even when I am not looking. 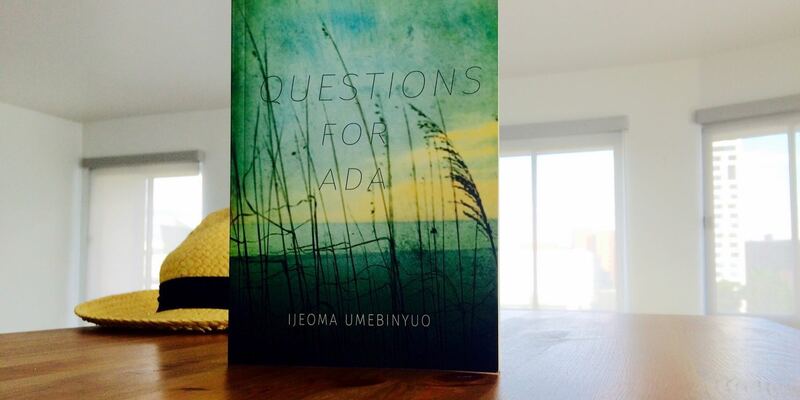 Questions for Ada , Ijeoma’s debut poetry collection. It was Friday when I began writing; it is 12:09 a.m. when I check the time. I had a cup of iced coffee earlier that has helped keep me up. I know it is going to be a long night. I have been writing and editing since 7 p.m., taking a break only to answer an important call. I return to editing and writing again. The story is unfolding, my space is quiet except for music playing in the background. I am unaware of what the morning will unfold but I know one thing: I will have to take a break in a few hours to call my parents who live in Nigeria. For now, a cup of tea. Ijeoma Umebinyuo was born and raised in Lagos, Nigeria. She is the author of Questions for Ada , her first published collection of prose poems and poems. Her writings have been translated to Portuguese, Turkish, Spanish, Russian and French.